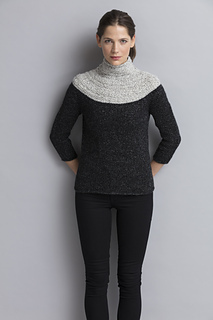 A pretty, slip-stitch yoke highlights the simple construction of this modern pullover with three-quarter sleeves. 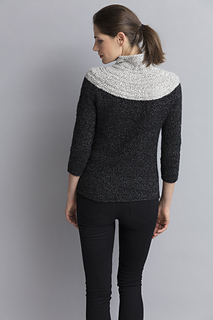 Construction Notes: Body and sleeves are worked separately in the round to the armholes and are then joined to work the yoke. 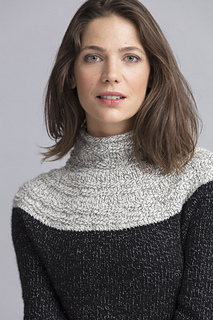 Yoke is shaped with short rows and through a series of decreases.